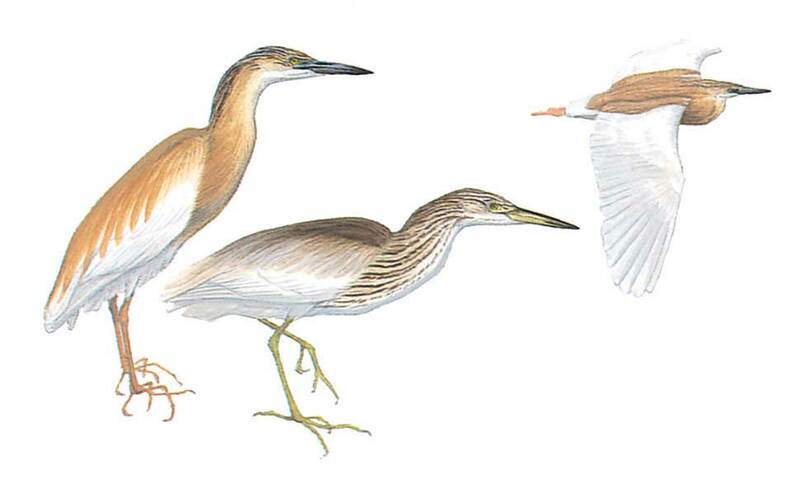 A small heron which in adult breeding plumage is a delicate golden buff with a purple sheen on mantle and long streaked nape-plumes. The bill has a greenish blue base. Nape-plumes lost in winter when neck becomes streaked and bill has yellowish base. Juvenile is brownish buff with streaked neck and upper breastmaking it well camouflaged. In fast flight, white wings are revealed making the bird appear mainly white.